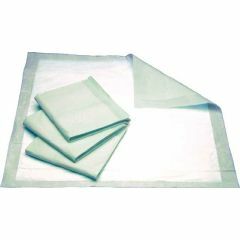 Select Disposable Underpads are manufactured with an extra soft and strong white spunbond facing to reduce the possibility of skin irritation and a water proof plastic backing to protect your bed linens. Disposable throw away pads for incontinence at Allegro Medical are always available for less. Make you and your patients feel more comfortable with their incontinence issues when you search for disposable underwear at Allegro Medical.